Have been in the store since 6am this morning installing some fabulous new products (more on that another day). In order to make room we are discounting BIG TIME a number of pieces that are display or have been out on press loans and are slightly damaged. Here goes (by the way the store isn’t open today so if anyone wants to bag anything before we open tomorrow please email: contact@atelierbypost.com). 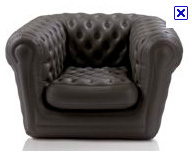 Blowup chesterfield chairs in midnight grey – fabulous inside or out there are only two remaining and they were Â£375 each and are now discounted to an amazing Â£100. 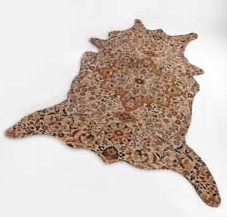 The bargin of the century this woollen animal inspired rug was Â£1350 now can you believe Â£135. Its damaged as went out on a press loan and tea was spilt on it so needs dry cleaning. 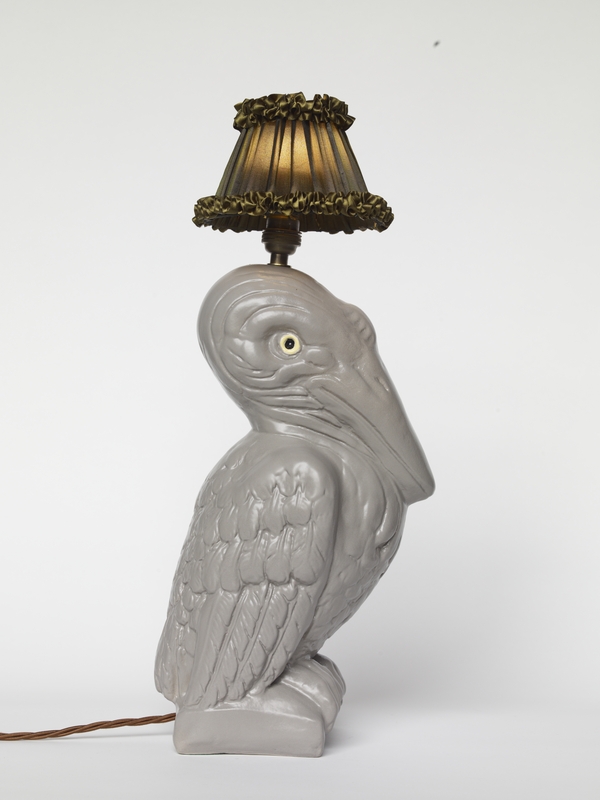 Finally one black poodle lamp and one light pelican lamp (both seconds – were Â£195 now Â£90). And if you happen to be in Islington in the next few days- you will find on the back table big round fabulous red vessels reduced to an amazing Â£30, a super cute little wooden chair reduced to Â£20 and a few other bits and bobs.